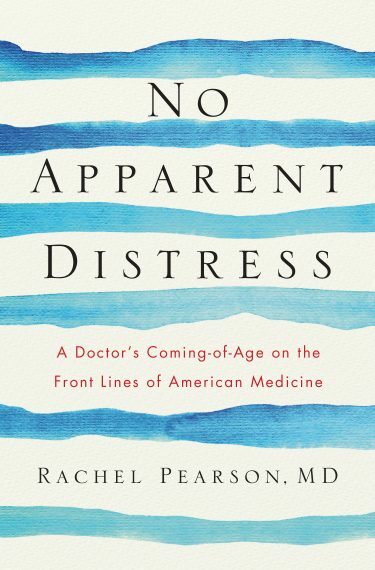 “No Apparent Distress” by Rachel Pearson is a terrifying, compelling and excellent book about the American health care system. For Rachel Pearson, hurricane season can be particularly unsettling. Even though she is thousands of miles away from the East Coast, she knows all too well about what it is like to experience a hurricane. Pearson faced firsthand the havoc of Hurricane Ike, which in 2008 caused extensive damage to the University of Texas Medical Branch in Galveston, where she was studying, and devastated the island city on the Gulf Coast. Pearson’s new book, “No Apparent Distress,” was well-reviewed by The New York Times. The title is the long form of N.A.D., a term used for patients who appear to be stable. Columns reached out to Pearson as Hurricane Harvey tore through the Gulf area. What does Hurricane Harvey mean for the people of Texas who have no access to Medicaid? I’m very, very afraid. What it means is hundreds of thousands are homeless or jobless, or both, and people in rural areas like my hometown will have increasing health-care needs from a damaged health-care infrastructure. It will hit rural Texans really hard. I have hope that Houston will enact some policies that will help these counties. That’s what I hope for, but I’m scared. Who provides charity care for the people in this part of Texas? It depends on where you live. After Hurricane Ike, the University of Texas Medical Branch (UTMB) Hospital drastically reduced its charity-care program. Some people in Harris and Travis counties [near Galveston] have access to county-run indigent health programs. If you live in Houston, you can get care funded at a county-run clinic funded through property taxes. Folks who live in rural areas, where there is no indigent care, are out of luck if they fall in the Medicaid gap—where the working poor are too well off to qualify for Medicaid, but too poor to pay for insurance. Ten percent of children in Texas are uninsured. Nationwide, five percent of children are uninsured. Under the Affordable Care Act, we have the highest rate of child health insurance in U.S. history, but even now 1 in 20 kids doesn’t have access to care because of no insurance. You talk in the book about people with no insurance who die of treatable diseases like cancer. It’s common to die because you can’t pay for surgery or chemotherapy. For example, if you are an undocumented immigrant, you have no access to federally funded treatment programs. There was a study done by Dartmouth in which they calculate the number of preventable deaths across the country at about 6,000. Is it true St. Vincent’s, the student-run clinic you worked at in Galveston, still lacks an X-ray machine? And, yet, someone with a broken leg was referred there? Yes, it’s true. It has historically been a charity care hospital. I found out the difference you can make in someone’s life simply by being present with them. You can help them a lot but it comes with a feeling of anger and injustice. You know they need the standard of medical care and you can’t give it to them, even if it means they are going to die. Is the practice treating the poor and uninsured different in Seattle? It’s a lot different here. I came to Children’s to see what it would be like to provide care where my patients had access to the services they need. Any kid in the region who needs it can be treated at Children’s. I’m very proud to be part of this. I wanted to make people understand that medical students train on the bodies of the poor, and the poor suffer from their mistakes, and that people die in the U.S. when they can’t afford insurance and can’t access Medicaid. What do you plan to do when you finish your residency here? I will be going back to Texas coast; it’s where I’m from. It’s a random, weird place to which I am very attached. I think that you have to do what you can on the ground with your hands and equipment and push for broader change. I know it’s not changing policy, but for me writing about it is my role.